The Obama administration is asking food makers to sharply limit any advertising to children and teens of foods high in sodium, saturated fat and added sugars, in an effort to curb obesity. Under the guidelines, foods marketed toward children ages 2 to 17 would have to provide “meaningful contribution” to a healthful diet by containing a certain amount of healthy items such as fruits, vegetables, whole grains, lean meats or beans. Next, the Obama administration needs to restrict food stamp purchases to healthier items than recipients are presently choosing. This year’s federal budget includes $85.2 billion for food stamps. At least 50% of it is wasted on the kinds of foods the Obama administration is condemning. And solving this problem is directly within the control of Congress and the administration. At least $42.6 billion is wasted!! How does that pay off? Not so well. If a commercial building normally costs $1.00 per square foot to heat, cool and light, normal utility bills would be $110,000/year for this building. 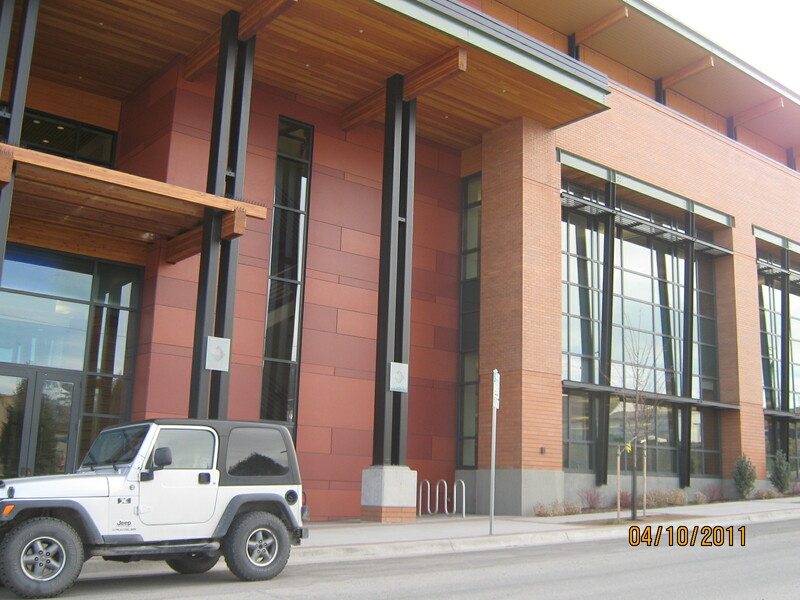 Because it’s LEED Gold, it will save 15% or $16,500 per year, $1,375 per month. But the building payment is $16,457 per month more for the green features and energy cost savings is only $1,375. Rate payers pay $15,082 monthly for the comfort of that green feeling. Sounds more Gold than green. Is that why the LEED folks call it a Gold rating? Or maybe it is the 53.5 hours per week school-age kids spend texting, playing electronic games and watching TV. That’s every waking hour a kid is not in school or sports. Five hours a night, M-F, from 5-10. Then 11.75 hours per day on Saturday and Sunday, 10 am-10 pm. What affects education most? Perhaps doubling “school funding” would not counteract the results inherent in the numbers above. With numbers like these, it is unlikely that further increases in taxes spent on education would result in great strides in literacy for each child. These numbers may represent Sysyphus’ boulder. Assemble a dream team. Compete against other schools. Recruit and draft teachers who have proven stats. Trounce the competition. Win the office pool. Trouble is, there are no stats. Teacher’s unions hide them. The union pretends everyone bats .400 and all pitchers have an ERA of under 1.40. No one knows what teachers are stars. According to the union, they are all stars, all called Quality Educators. All got a $2,000 bonus because of this equality principle. None is better or worse. No one drops the ball. No one scores touchdowns more frequently. No teacher bats more runners in, or less. They are “all equal”. Their performance is “uniform”. No excellence can be perceived. Team Bland. No hard feelings because of comparison. No school boards pay star teachers $95,000, the mediocre $45,000 and the less-effective, $30,000. With stats, they could. Oh sure, we have Teacher of the Year awards. Even these teachers gain no increase in pay, just honoraria, trips, accolades. Teachers can go through a rigorous process to become National Board Certified. In some school districts, that is worth $500-$1,500 per year pay increase. Even this means of honoring excellence does not use student performance. It uses tests, classroom observations by supervisors, videos of teaching sessions that are judged, and attendance at skill clinics and training. No parent approval scores, no student scores. If student scores are ever allowed to partially determine teacher pay, the union justification crumbles. Unions assume all are equal. It is an assumption contradicted by everyday observation in all other fields of human endeavor. Excellence acknowledged makes slackers look bad and they might get less pay. Unions protect the mediocre and listless at the expense of the stellar. No teacher makes 20% more than average. There apparently are no Lebrons or Michael Jordans in the classroom, inMontana. We grade students. They all know who gets the best grades. We even grade schools. Greatschools.com is a fine site for this purpose. But teachers are never graded. The student scores are never linked to a teacher. It would be a simple matter of testing kids coming into a classroom and their level of improvement at the end of 9 months and posting that for each teacher. That’s stats! Then we could play Fantasy Education! In Los Angeles, early attempts to distinguish excellence are valuable. Does Oil Money Make Smart Kids? Lambert schools have a 3 out of 10 greatschools.net ranking. They spend $32,000 per year per pupil. 40% of 10th grade students are proficient on math compared to 54% statewide. 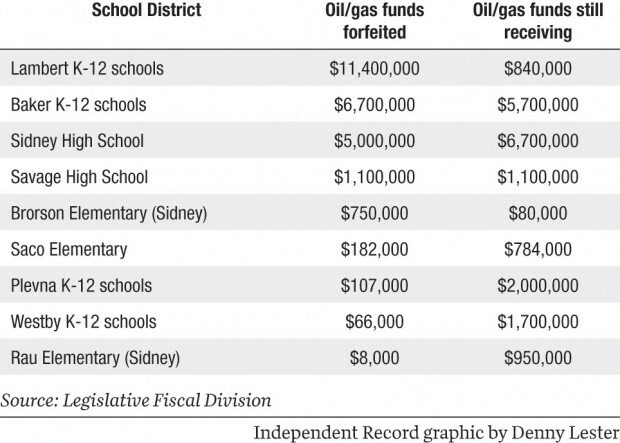 Would doubling school funding by increasing oil and gas tax revenues guarantee academic success for all students? A grant is not free. Someone, some earner and taxpayer has to pay for it. At State Fund, the state-run worker’s compensation program, the top employee makes 12 times as much as the lowest paid employee. That is $252,000 vs. $21,000. The top fourteen each make over $100,000, plus benefits. The bottom fourteen combined, make one fifth as much as the top-paid fourteen. State Fund has 278 employees. The new building housing the program, it is said, cost $37 million.